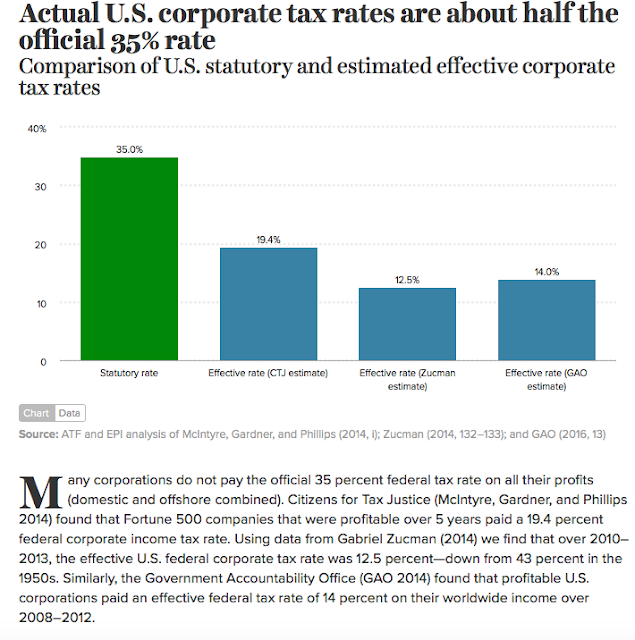 Republicans, and their presidential candidate, want to lower the income tax rate on U.S. corporations to 14%-15% from the current rate (about 35%). They claim the rate is too high and gives foreign companies an advantage. 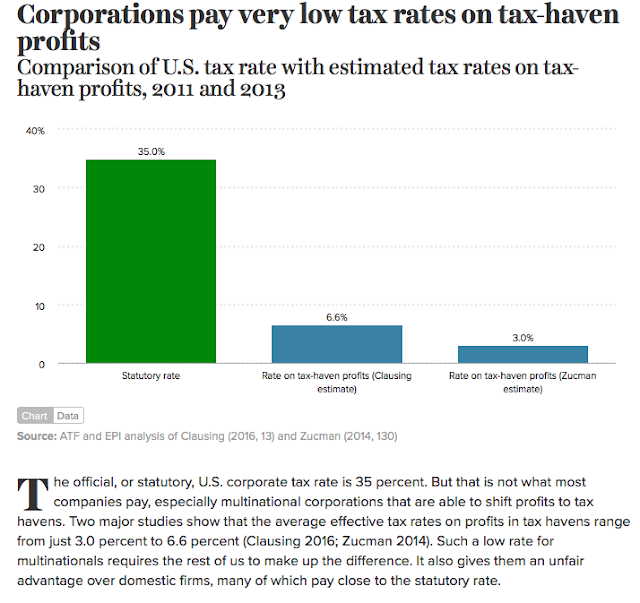 The truth is that almost no U.S. corporation pays that top rate, and many pay nothing at all in spite of making billions in profits, and most U.S. corporations actually pay less in taxes than their foreign competitors. The Republicans also claim that lowering the corporate tax rate will create millions of jobs -- even though those corporations are already sitting on trillions of dollars, and there has never been any proof that the tax rate has any effect on job creation. 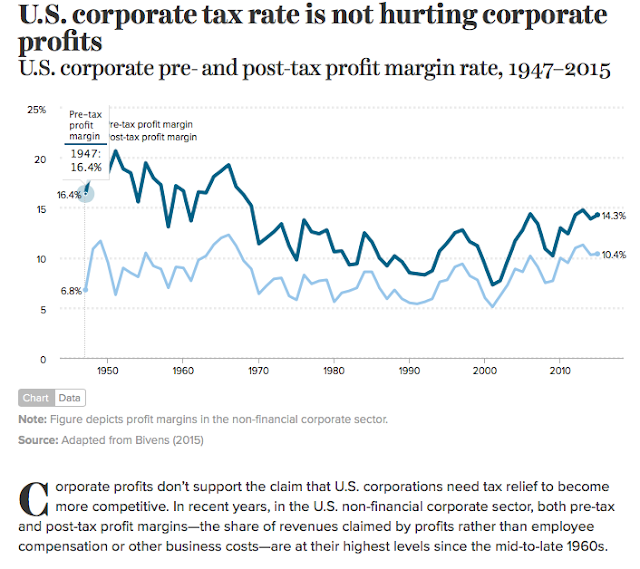 There is no real reason to lower the top tax rate for corporations. They currently enjoy one of the lowest tax rates since World War II, and most avoid paying even that. 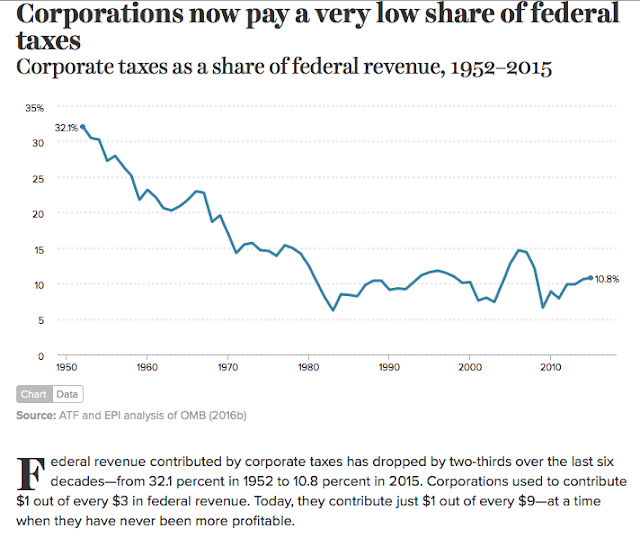 They used to account for over 32% of the federal governments tax revenues, but now only account for less than 11% -- a 21 point drop since 1952. 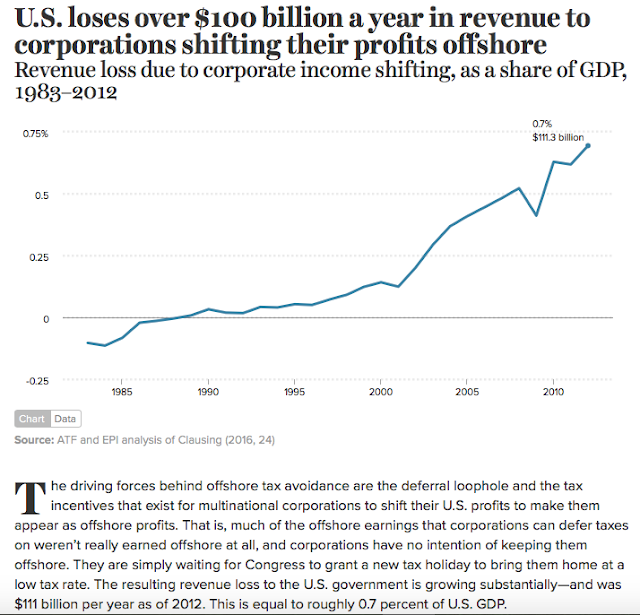 In the last few decades, thanks to tax subsidies, tax loopholes, and regulations that let them park money overseas to avoid paying taxes, the Republicans have fixed it so corporations no longer have to pay their fair share of tax revenues -- but they still enjoy all the advantages and protections of being an American company. Just peruse all of these charts (from the Economic Policy Institute). 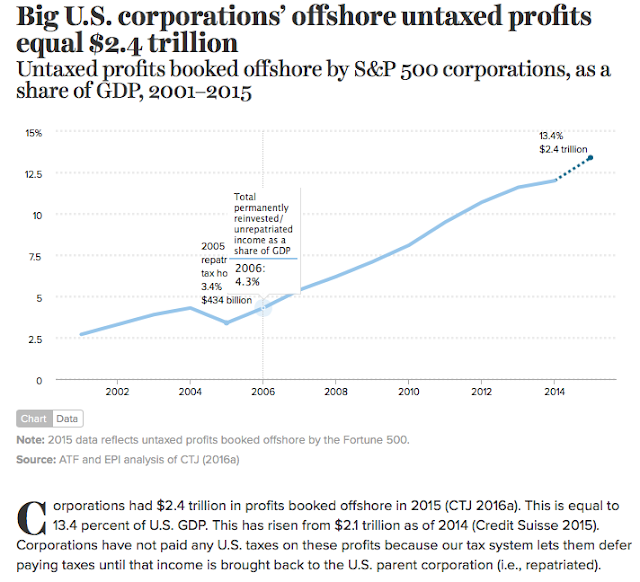 I think you'll see that corporations, especially the huge domestic and multi-national corporations do NOT need a tax cut. 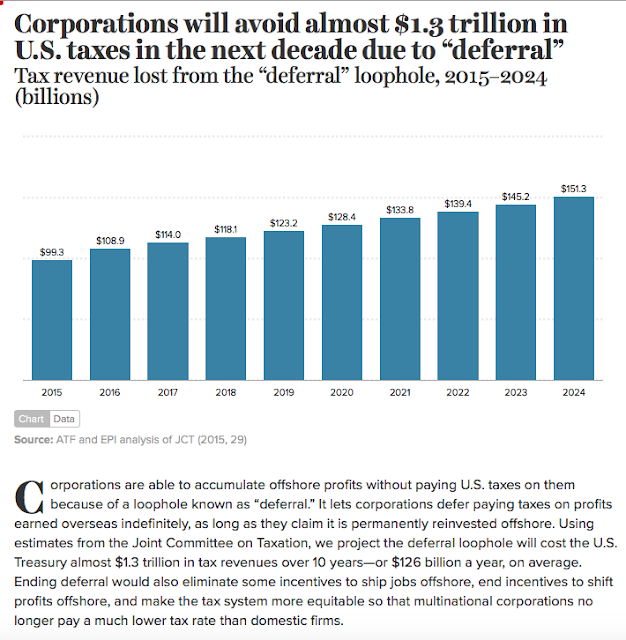 What is needed is to make these corporations pay their fair share of tax revenues. Of course, that won't happen as long as the Republicans retain enough power to stop it. That is why they must be voted out of power in November.